Are you writing your first draft? Revising your second or third draft? Maybe you are in the early phases of getting the story that keeps you up at night down on paper. It doesn’t matter. 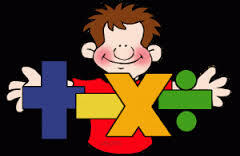 You will soon learn that in order to be good at writing, you need to know a few simple math operations. Specifically, you need to be able to ADD, SUBTRACT, MULTIPLY, AND DIVIDE. You also need to know when to employ these operations to produce the outcome you need. I know. I am in various stages of writing three different novels. I am editing Libby’s Cuppa Joe, a short novel about a single mother who owns a coffee shop in Door County, Wisconsin. I am revising Karen’s Story, the novel about a woman who finds herself forever “in the middle.” I am still crafting the second draft of the Edge of Quiet, a romantic suspense novel. I looked at my list of what I needed to do. “Add this, delete that. 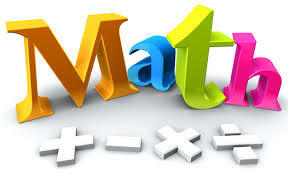 Divide the chapter [HERE].” I realized how often I use math terminology. So today I offer this post as a friendly reminder –a strategy to use to evaluate your work and assess the work that needs to be completed to make it publishable. When it is good to ADD: Add words, characters or dialogue to strengthen a scene or bump up the tension. For example, while working with my editor on Breathing on Her Own, she encouraged me to add more sightings of the strange white car in Laney’s neighborhood. She wanted me to do this to make my readers curious about who might be stalking Laney. Adding this enhanced the tension in the story. There are times when ADDING is not preferable. It is not good to “ad to pad.” For instance, you hear a certain agent likes works that fall somewhere between 80,000- 100,000 words. Your story falls short at 65,000 words. Resist the temptation to add “words” merely to get to what you perceive to be a magical word count. When I taught college classes I would have students ask, “How long does our paper have to be, Dr. Waters?” My response? “Until it is finished. No more. No less.” At first they struggled with my answer, but as they came to know me, they realized the freedom of writing without a word count or page requirement. The size of the papers varied, depending on each student’s writing style. When it is good to SUBTRACT: You need to delete superfluous verbiage; crazy long, useless descriptions. Cut, edit, and revise details that do not move the story forward. Your story needs to be lean and focused. However, be careful that when you cut that character from scene one, you don’t refer to him in scene two. When I make drastic cuts to my manuscript, I keep them in a “dump” document so I can retrieve valuable information later if I need it. It’s good to offer multiple conflict points or situations for your protagonist. I create a list of the ten worst things that could happen to my main character. Multiplying these tough situations in your characters life will intensify your reader’s desire to see your character pull through to a satisfactory end. The multiply rule doesn’t apply to some areas of your novel –particularly if you are a new writer. Be careful to not include multiple characters to track with multiple story lines or multiple characters with names that begin with the same letter or are so similar your reader is confused. Last week, in the post about pacing, I suggested one way to keep your story moving forward and your reader interested is to keep your chapters short. One way to accomplish this is to DIVIDE those longer chapters into more manageable chunks. That is a good use of your division skills. However, I’ve met new writers who don’t put their best in their first novel, hoping to save choice ideas and scenes for a sequel. Wake up. You don’t need to divide your story up into book 1, 2, and 3. Not yet. Put your best writing forward from the beginning. Make book one great. So there you have it. Simple math to help you with your novel. And here is some more simple math for you. Breathing on Her Own is currently on sale for your Kindle reader. It was listed at $3.99. Now you can purchase it for $1.99. $3.99-$1.99= $2.00. Yep, you can save $2.00! If you want a print version, enter the Goodreads Giveaway HERE. I’ll be mailing one lucky winner an autographed copy. Good luck! Thank you for visiting. I look forward to your comments. Several years ago, my husband plowed through a book he declared was the slowest moving, most boring book he had ever read. “It will probably be a classic,” he said. When I questioned his comment, he said it reminded him of one of those long, old books that supposedly had a ton of symbolism in it. But Tom was always one to finish what he started, so he pushed his way through and vowed to never read another book by that author. The problem in that book was one of pacing. The author could have discarded two thirds of the book, boiling down the interesting parts that moved the story forward into a novella or short story. I think of pacing as the rhythm of the story. Much like a good orchestra piece. The overture establishes the tone of the music and offers a prelude to the story to unfold. Each movement builds on the theme until we reach a crescendo…a climax in the musical piece. Of course, I’ve slept through a few concerts as well. It’s all about making sure the story, or in this illustration, music, moves forward. And yes, there is a “need for speed”…uh, is that from a Tom Cruise movie? I’m currently working on a romantic suspense novel. You would think romance and suspense thrown together would be enough to set a tone, build a theme, and build quickly to a crescendo. Yet, I tend to want to include every detail. For example, I describe how the grape arbor is on the north side of the house, but is that important to the story or does it slow it all down? You guessed it. Extraneous details slow the story down. That’s only one piece of advice I can offer based on what I’ve learned these past couple of years. Here are five other techniques I’m trying to implement to keep up the pace. 1. Include action scenes. Action demands powerful verbs, few details and an active voice. If I must include the grape arbor, I don’t need to describe it in detail. I can have one of characters picking grapes. Here’s an example at the end of my grape arbor scene: What was that glistening in the dirt under the grape vine? That looks like a gold chain.” Missy threw a quick glance toward the house. No one. Tentatively, she reached beneath the twisting vine. Hopefully, the passage makes you wonder what Missy has found and why she feels the need to hide her actions from someone in the house. And what’s with that gold chain? Could it be her mother’s? The one she never took off. The one that went missing the same time she did? 3. Shorten your chapters or scenes. I like to keep my chapters fairly consistent in size –no more than 2000 words. I think this helps the reader keep moving through the story. 4. Make every word count. Use strong words and structure sentences to be short and to the point. Use sentence fragments. Most people think and talk in fragments. "Don't use two words when one will do." 5. Engage your characters in tension filled dialogue. Have your characters argue or challenge each other. Tension between characters can drive the story to its end. There are, of course, other techniques, I’m sure. I’m still learning. What strategies do you use to keep up the pace of your story? 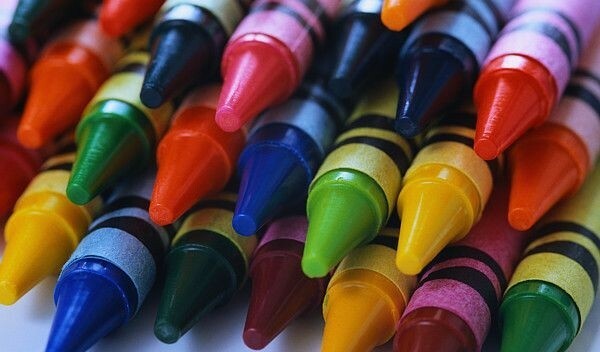 Ah, the smell of crayons! Walk into any grocery or department store this time of year and you will be hit with the smell of fresh crayons wafting from somewhere midst a mountain back-to-school supplies. I loved shopping for new school supplies as a child. Okay, I’ll admit it. I loved shopping for new school supplies as an adult as well. The smell of fresh crayons is like the sound of a trumpet to a teacher –the unofficial announcement that summer is over and a new year with a new group of children is about to begin. Actually, some schools have already started. I remember a time though, when the new school year started the day after Labor Day and ended the week after Memorial Day. There was a reason for that. Schools followed an agrarian calendar. We were a farming nation back then. Children were needed on farms to help plant and harvest. 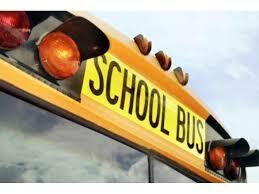 As a result, most schools don’t have air conditioning and were not built with cross ventilation in mind. They were built to keep our children warm and safe during the cold winter months. I digress. The task is so familiar that children everywhere have come to expect it. Teachers use the composition as a baseline to assess student writing, punctuation, composition, vocabulary, and so forth. 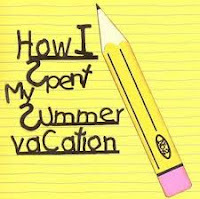 Students use it to boast of trips to Disney World or the beach. Some take advantage of the writing requirement to engage in creative writing, drafting a paragraph describing what they wish they had done. A few feel comfortable simply writing they played with their friends or siblings. I suspect very few report their chores on the farm anymore. No, the essays are more about going places and being entertained. Regardless of the content, teachers use the writing for assessment. But I wonder what would happen if the assignment changed. What if the question was something like one of these? I can’t help but wonder if children expected this sort of assignment on that first day of school, how their lives might be changed in the course of one summer. Or how they might positively impact the lives of those around them. I wonder what plans they might make for the following year. What would your essay look like? How did you use the longer days of summer to bless those around you? Thank you for visiting. I appreciate your comments. Note: This post first appeared February 25, 2015 on Norma Gail Thurston's blog. Recently, I was talking with a friend about Tom and our trip to Italy. I told her about Tom's boldness in speaking God's truth. I told her about this post and she suggested I post it here. I pray you will live without fear. Be bold in sharing the Gospel. 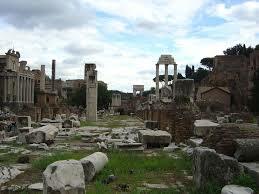 Enjoy with me once again, the Roman Ruins. Our trip to Italy had been a once in a lifetime experience. We had been traveling with colleagues of my husband; fellow scientists interested in understanding the safe lifting equation adopted by the European Union. The fact my husband had led the research team that developed the equation made him something of a rock star to the engineers and scientists in Italy. We were blessed to eat in the homes of some of our new Italian friends. They traveled with us through Tuscany, showing us out of the way pools of water and waterfalls for swimming and taking us to their favorite restaurants. We made our way to Rome where one of the men with us recommended we “get lost in the city” to truly explore it. It was a wonderful experience. But nothing like the one God offered as we stood overlooking the Roman ruins. A once beautiful city now fallen and decaying with time. “I’m a Believer,” Tom affirmed. We’ve learned in our travels, the word Christian has multiple meanings and not all of them good. “Yes.” By this time all members of the group are listening intently to this conversation between the two renown scientists. I’m wondering what the others are thinking. I’m praying for God to give Tom the words he needs to share with these people we have come to love, the words that will inspire them to seek God; to know Him. Remember where we are standing. 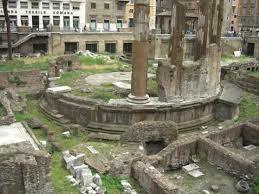 Tom is now turned, his back to the ruins of a once great city. He’s looking at his friend and colleague. No other word is spoken. No other word is needed. Heads are nodding slowly. Eyes are cast down. You can almost hear the wheels turning in these great minds. I look at Tom. I know he is praying for the hearts to turn as well. Thank you for visiting the blog today. Thank you for allowing me to relive this moment of my sweet husband and his constant desire to do God's will. The Center for Disease Control (CDC) in Atlanta has announced a scholarship/endowment fund has been set up in Tom's name. If you are interested in making a donation or want to know more about it, go to The Thomas R. Waters Memorial Scholarship for Ergonomics Research.